The evolution of flow chemistry and Syrris – which came first, the chicken or the egg? Syrris began in late 2001, when Mark Gilligan and Richard Gray were looking for ways to accelerate drug discovery. Their goal was to dramatically enhance the efficiency and throughput of traditional organic chemistry techniques by using smaller and smaller batch reactors and increasing the level of automation. 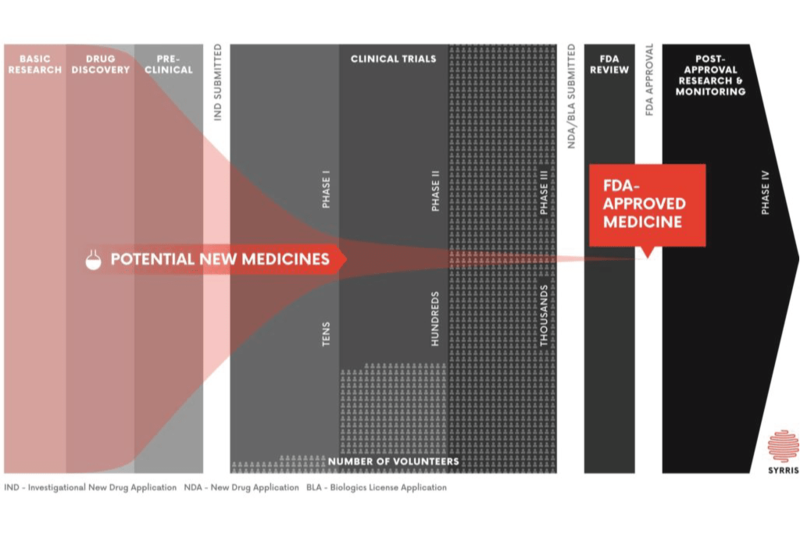 At this time, another idea began to surface; non-deterministic closed-loop drug discovery. The aim was to create a machine which could both automate chemical synthesis and optimize the performance of the compound against a biological target. 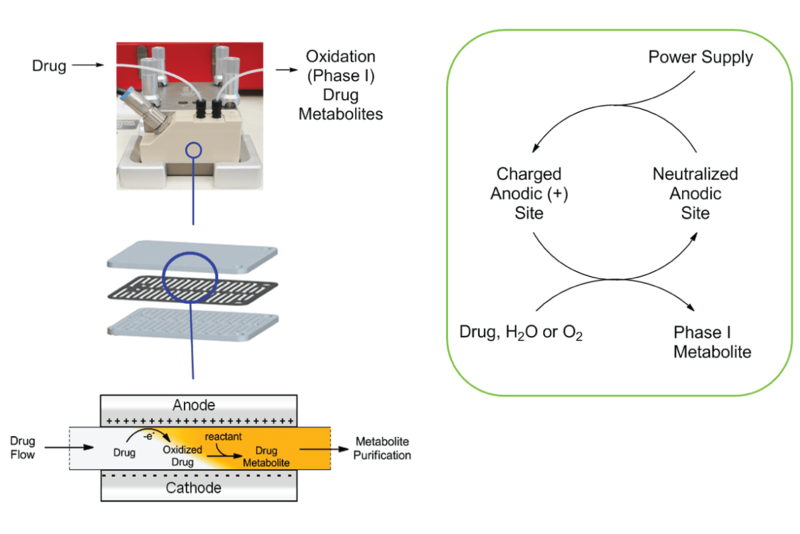 The process would begin with automated synthesis of a “prototype” organic compound, which would then be screened for activity against a biological target, and the assay response measured to generate a performance score. The machine would adapt the synthetic protocol and rerun the synthesis, performing multiple iterations to try to improve the score. Once the run was complete, details of the first compound to reach a desired target score – or the best response achieved in a given time – would be reported to the user. This vision developed into Syrris’ long-range business plan, attracting interest and funding from GSK. The two teams worked on developing a prototype platform, and a proof of concept machine was in operation at GSK by 2005. 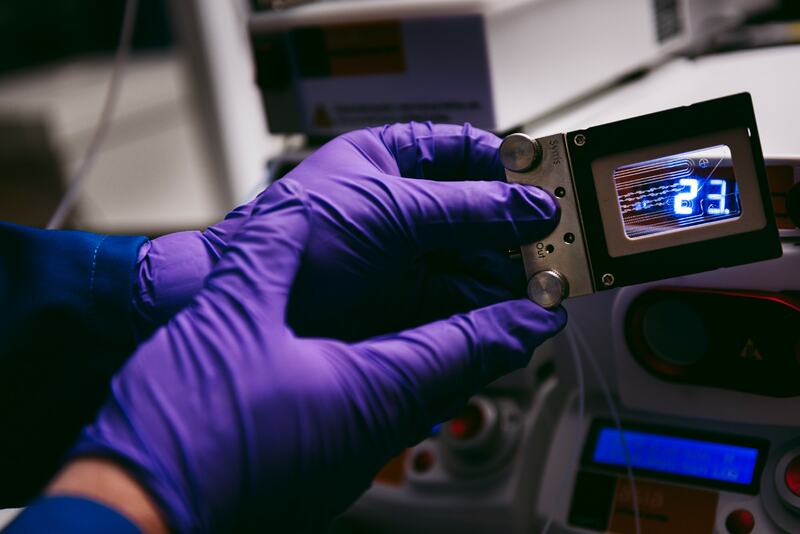 As the team at Syrris worked on automating the drug discovery cycle, it became clear that microfluidic flow chemistry was one of the keys to rapid, automated and small-scale compound synthesis. Syrris therefore focused on the development of products for flow chemistry reactions, announcing its first prototype flow chemistry platform, the AutoR, in 2003. This advanced touchscreen-driven platform, featured integrated pumping, temperature control, pressure control and microfluidic reactors in a compact, desktop instrument. The AutoR was part of a planned modular tubing-free platform where all the fluidic elements were connected via novel stacking methods to minimize internal volume and maximize chemical resistance. Flow chemistry was so new that there was no standard terminology; microfluidic reactors, microreactors, continuous processing and process intensification were just a few of the descriptions used. The Syrris team realized that the time was not right for a desktop tool suitable for every chemist, and that a more automated system for centralized use at core facilities was more appropriate. The Africa system was launched in 2004 as the first commercial platform from Syrris. Africa was focused on business users, rather than universities. At that time, drug discovery pipelines were slowing dramatically, and the major pharmaceutical companies were extremely receptive to adopting a technology which could increase productivity and improve discovery performance and yield. As expected, every Syrris Africa system sold between 2004 and 2007 went to a commercial company, including all of the top 10 pharmaceutical companies. However, publications were not a priority for commercial users, and other companies were therefore unable to justify a large investment in a new technology. With an obvious gap in the market for a low cost flow chemistry system, Syrris launched its third generation product, FRX, in October 2006. This introductory level system opened up the world of flow chemistry to scientists worldwide. For flow chemistry to flourish, consistent, easy-to-understand terminology was needed, backed by educational resources. Chemists liked the term flow chemistry, coined by Syrris simply to make presentations less off-putting. At this time, Wikipedia was fast becoming a significant online resource. As chemists seemed comfortable with the new terminology, Mark wrote a Wikipedia page entitled in 2006. This has been edited extensively by very many contributors over the last 10 years, helping to spread the word about the technique and the rapidly growing number of academic publications on the subject. From 2006 to 2010, flow chemistry became an established approach. A wide range of common synthetic protocols were shown to work better in flow, and many new methods were developed to take advantage of the benefits of flow, including small scale, faster reactions, and improved selectivity. The FRX system allowed Syrris to make inroads into the academic market and, at the same time, sales of the more advanced Africa system also increased. Syrris expanded the functionality of its products, offering new tools including larger scale reactors, an in-line purification technology called FLLEX, and adapting microfluidic methods to perform photochemistry and electrochemistry. 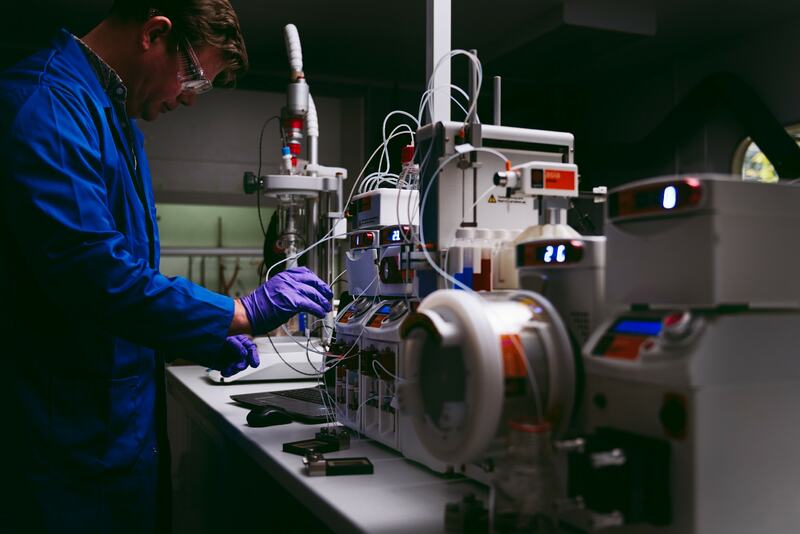 The time was now right for another step forward in flow chemistry innovation – a novel modular system with even greater performance than Africa, at a cost only marginally more than the FRX. The result was the fourth generation Syrris Asia, launched in 2011, which went on to win an R&D 100 award in 2012. As Asia evolved to become the most advanced modular flow chemistry research platform in the world, demand also grew for a cost-effective, entry level system for the education market. This led Dolomite Microfluidics – a sister company of Syrris – to launch the Dolomite Flow Chemistry System in 2015, complementing the advanced Syrris products to make flow chemistry solutions accessible to chemists everywhere. 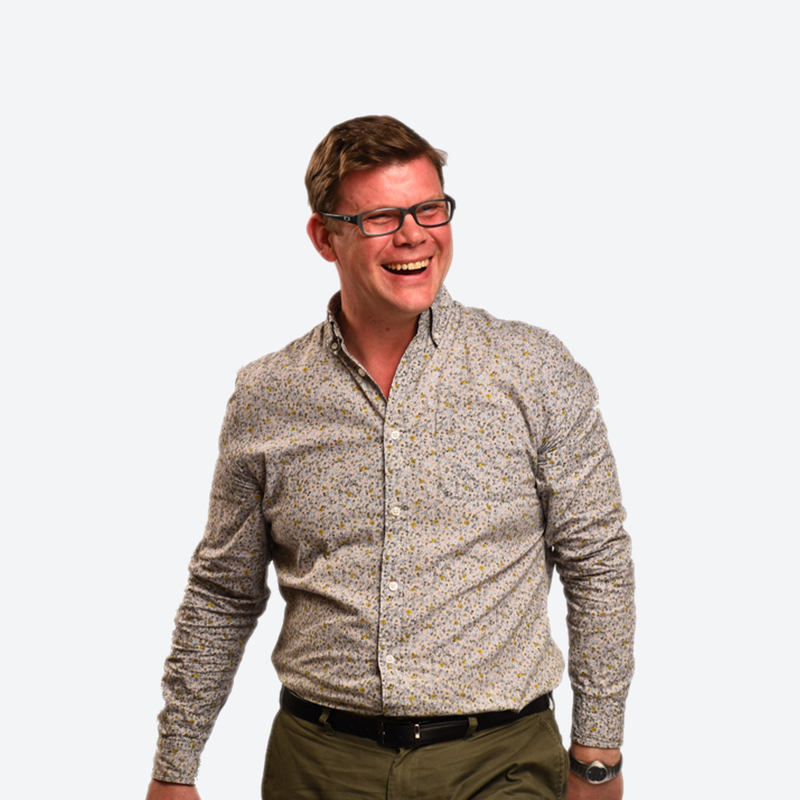 In recognition of the work of Syrris and the broader Blacktrace Group of companies, Mark Gilligan was invited to become a member of the editorial board of the RSC journal Lab on a Chip in 2013. He was elected to the position of Fellow of Royal Society of Chemistry in 2016.